Hey RobertC, BURT Chevrolet in Englewood is where Rocky Mountain Corsa has their monthly meetings. But recently it became Elway Chevrolet. > Rocky Mountain Corsa has their monthly meetings. 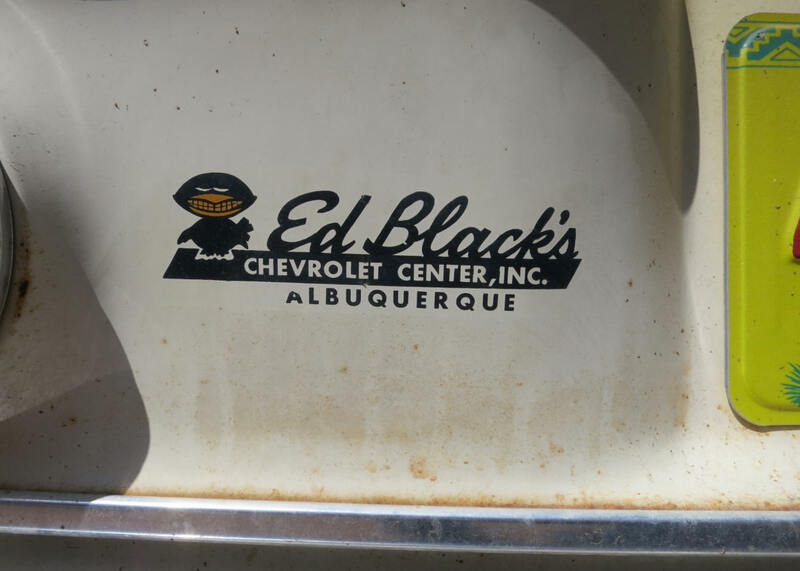 > But recently it became Elway Chevrolet. Have not been to Denver in a few years and did not know RMC met there. It is where my wife bought her 65 Monza in 1965. I took it off when the car was repainted in 1975. This one from Daniels Chevrolet of Colorado Springs is on the Pikes Peak Cutaway Corvair. There are two small holes hidden behind it where maybe a different one was mounted before that? I ordered my '67 Monza Cpe at Thorp Chevrolet in Annapolis, MD. I noticed that cars around the dealership had those cast metal tags nailed to them, and being from California I couldn't believe that new-car customers would actually put up with that. I told the salesman that if my car had one of those tags on it when I came to pick it up, they would be keeping the car and I would be keeping my money. There was no tag. I always thought it was strange that many of the dealer tags were drilled in the Chicago area, in the middle of the rust belt! But my favorites (these were stickers) were always the Nickey Chevrolet with a backwards red "K", and of course Mr. 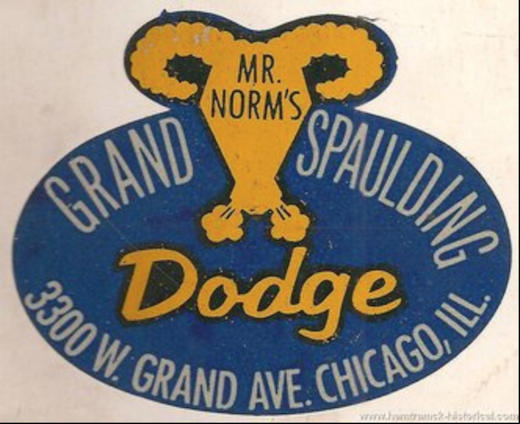 Norm's Grand Spaulding Dodge. 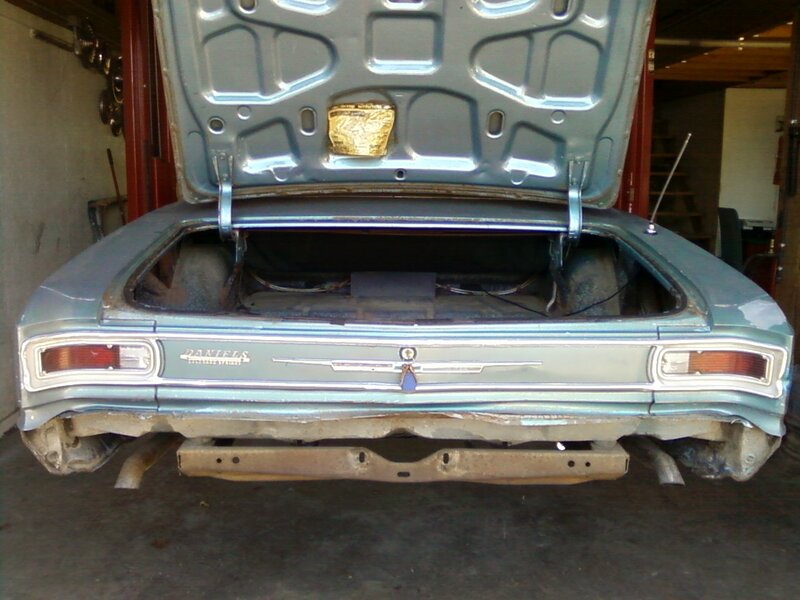 Restored a one family owned '66 Malibu cvt a few years ago. It was also from Boulder. 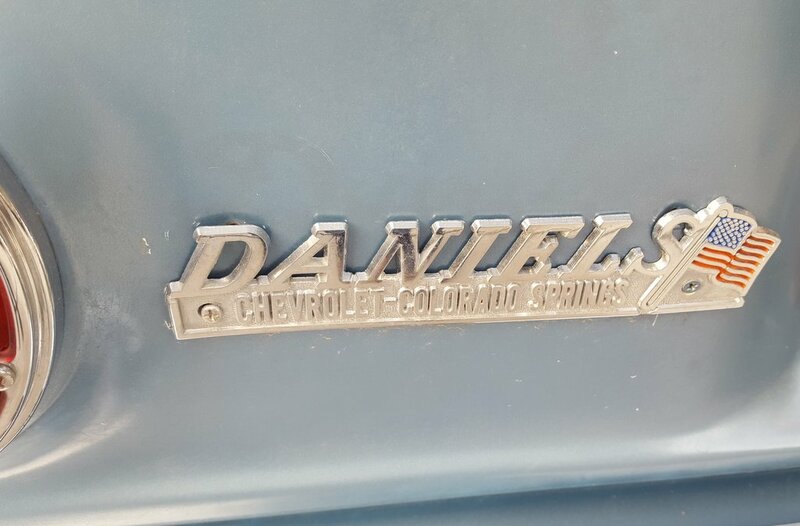 We kept the dealer emblem on the restored car. Car and owner have since returned to live in Boulder by way of Dallas and San Francisco. That also looks like an orginal paint car. Edited 1 time(s). Last edit at 02/05/2018 05:40PM by jasonscorvairs. 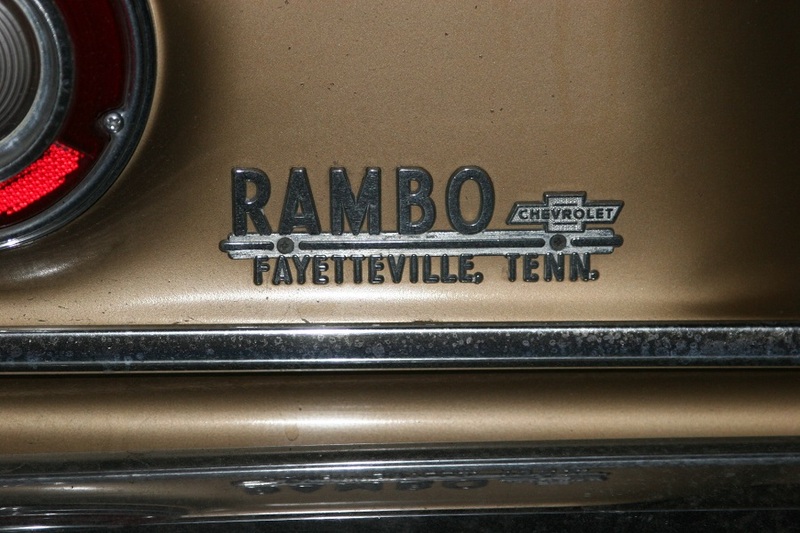 Here's the tag on our 4 door - now you know why we call it "Rambo". I ordered and received a new 69 monza I told the salesman no dealer sticker unless they wanted to pay me a fee for advertising. The prep guy didn't get the word so I made them remove it. The parking cops at the University of Delaware are still looking for a "vans" model chevrolet for 3000 parking tickets. This one is from a car dealer in Cumberland Md. that is no longer in business. 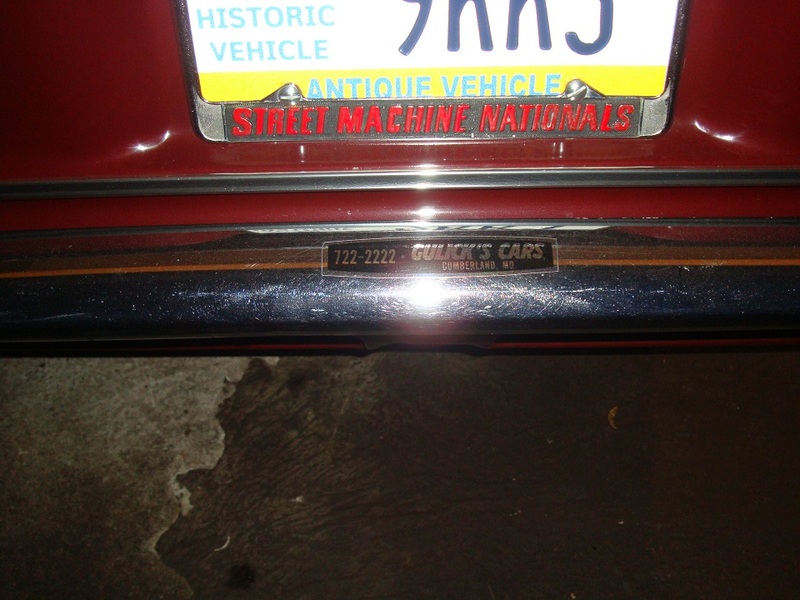 I also got a license plate frame from the dealer, a standing eBay search alert can really find some cool stuff you would never discover otherwise!